The Mitsubishi Mirage is among the lowest-priced new cars sold in the U.S., which puts it somewhat at odds with other subcompact vehicles—many of them trying to chase a more upscale image. 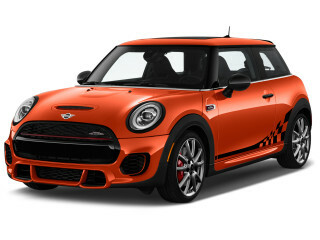 One model also offers the highest fuel-economy rating of any non-hybrid sold in the U.S. this year. For 2018, the Mirage lineup includes a hatchback and a sedan called Mirage G4 that was launched in 2017. 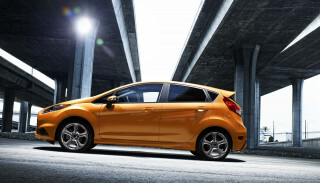 Its competitors includes the Chevy Spark, Ford Fiesta, Honda Fit, Nissan Versa, and Toyota Yaris. 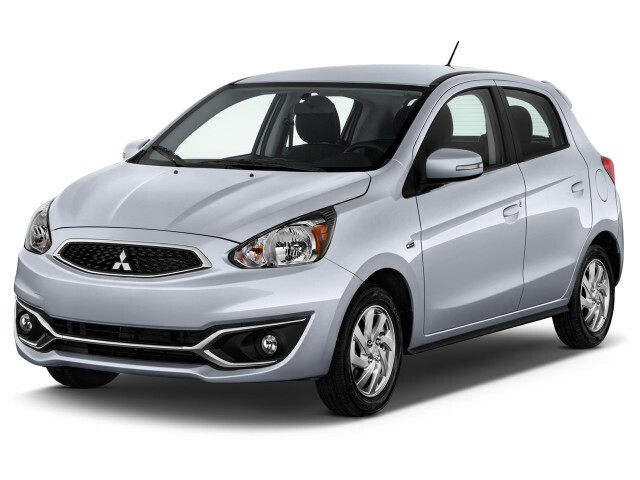 Mitsubishi changed very little on the Mirage for the 2019 model year. 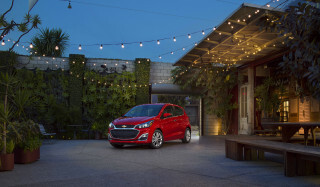 The Mirage G4 is largely the same vehicle as the hatchback, except with a trunk that offers less volume and flexibility than the five-door's expansive cargo area. 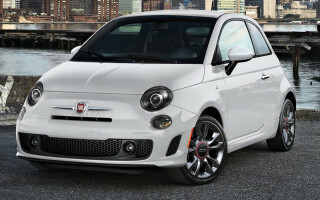 The G4 aims to look a little more upscale, but it suffers at the pump by delivering slightly lower fuel economy numbers. Mitsubishi builds all Mirages in a factory in Thailand. The new Mirage—even with all the upgrades—looks plain. The car sits upright on its little 14- or 15-inch wheels, with a version of Mitsubishi's newest front-end styling giving it a rounded look that helps the car cheat the wind but does little for it styling-wise. Mitsubishi claims a drag coefficient of 0.27 for the hatchback, which is a nice low number, so the designers can't be blamed too much for going the staid route up front. The simple interior of the Mirage is equally plain, though with modern safety features under the rounded shapes formed from hard plastics. But the closer you get, the cheaper the Mirage looks inside. Folding down the 60/40-split rear seat back, for example, produces wrinkles in the thin carpet covering the seat back. Many interior panels are painted metal, a few with exposed seams; overall, the impression is more 1990s econobox than smart, stylish, high-quality product of the 2010s. The front seats are comfortable enough, and with some dickering, four 6-footers can fit inside. But the Mirage is a light car at about 2,000 pounds even in U.S. trim with its full complement of safety equipment. That doesn't leave a lot of margin for noise suppression, and the Mirage's cabin can be quite noisy, though it's a little better in the later models. Seven airbags are fitted as standard, along with the usual suite of now-mandatory electronic safety systems. Brake assist and hill-start assist come standard on models fitted with a continuously variable transmission (CVT). A rear-view camera isn't fitted to the base ES model. The Mirage's claim to fame isn't just a low price (one of the lowest on the U.S. market) but also fuel efficiency estimated at 37 mpg city, 43 highway, 39 combined for the hatchback with the CVT. At the opposite end of the spectrum sits the rather less impressive G4 with its standard 5-speed manual: 33/40/35 mpg. That rating is on par with some larger, far more refined compact cars. The Mirage's dynamic behavior was truly disappointing when it launched. While Mitsubishi claims it made significant changes to the suspension for the 2017 model, it remains one of the more unpleasant highway cars we've driven. The ride is smooth around town on good roads, but at speed the ride is bouncy, the car wanders and wallows, and the steering is numb. Added to that, the Mirage is in no way quick and has virtually no reserve of acceleration for passing or emergencies. A 5-speed manual transmission is standard, and rated a few mpg lower than the optional CVT, although aggressive drivers will find the manual better able to extract the most from the small engine. For its price, the Mirage comes pretty well equipped. The base ES trim level includes air conditioning, keyless entry, power windows, and a four-speaker audio system including USB input. The SE adds alloy wheels, a height adjustable driver's seat, fog lights, Bluetooth connectivity, automatic climate control, and a backup camera, among a few other items. Pop for the full-boat Mirage GT, which is only available as a hatchback, and you'll net surprising luxuries like xenon headlights and heated seats—but, despite its name, the GT isn't remotely sporty and doesn't even offer the manual gearbox. There was no 2016 Mitsubishi Mirage; the automaker skipped that year entirely, but instead rolled out a 2017 Mirage with a series of significant improvements. The 2017 Mitsubishi Mirage gets a restyled front end; 4 more horsepower to take its rating to 78 hp; upgraded brakes; a retuned suspension for improved ride and handling; new upholstery fabrics and interior trims; and updated infotainment systems. Changes for 2018 included a standard rearview camera and 7.0-inch touchscreen for all models. A driver's seat armrest was offered on the two top trim levels, and the USB port on those versions moved to the center console from its previous location at the end of a cable inside the glove box. Android Auto and Apple CarPlay became available. For 2019, the Mirage added standard cruise control. Prior to making a return on this subcompact for 2014, the Mirage nameplate was last used in the U.S. back in 2002. The Mirage sold in the U.S. from 1997 through 2002 was actually the fifth generation of a model first launched in the late 1970s. That car was sold as the Dodge Colt before Mitsubishi began to offer its cars under its own banner in the U.S. The final generation of Mirage was a compact car in those days, offered as a two-door coupe and four-door sedan and powered by a 1.8-liter engine in its last years. While the Mirage coupe lasted through 2002, the sedan model was replaced by the Mitsubishi Lancer for 2002.